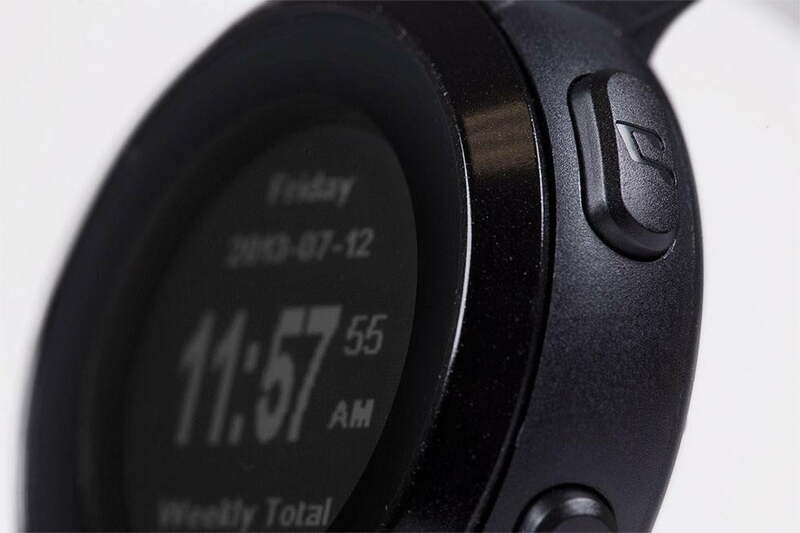 Check out our review of the Magellan Echo smart fitness watch. We have seen the future and it is filled with smart phones and dumb watches. And by dumb we don’t mean stupid. We mean a watch that does next to nothing on its own, but can display all manner of fitness data generated by a smartphone app via Bluetooth Smart. The first device of this kind available in the fitness category was the Wahoo Fitness RFLKT. Though it is not a watch, the RFLKT allows cyclists to view GPS metrics (speed, cadence, power) being generated by their iPhone on a small monitor mounted to their handlebars while the phone stays safely tucked away in a pocket. 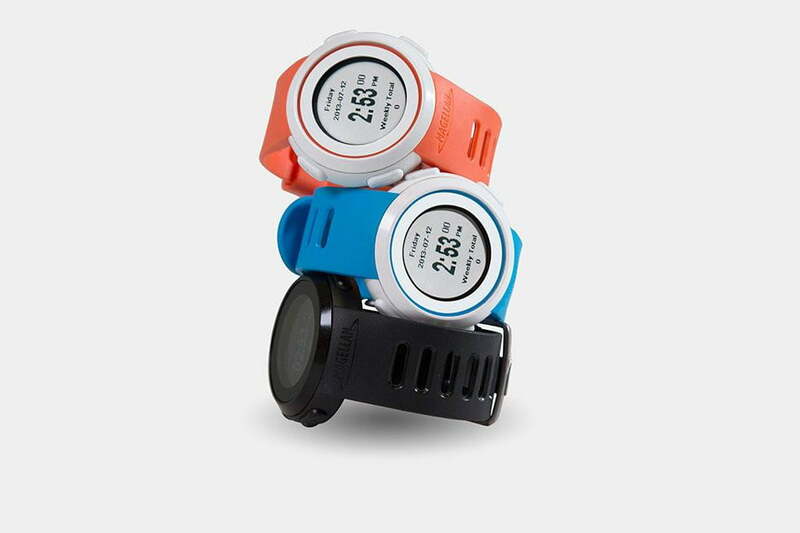 Now, GPS navigation giant Magellan is using the same Wahoo Fitness application programming interface that runs the RFLKT to power their newest fitness watch. 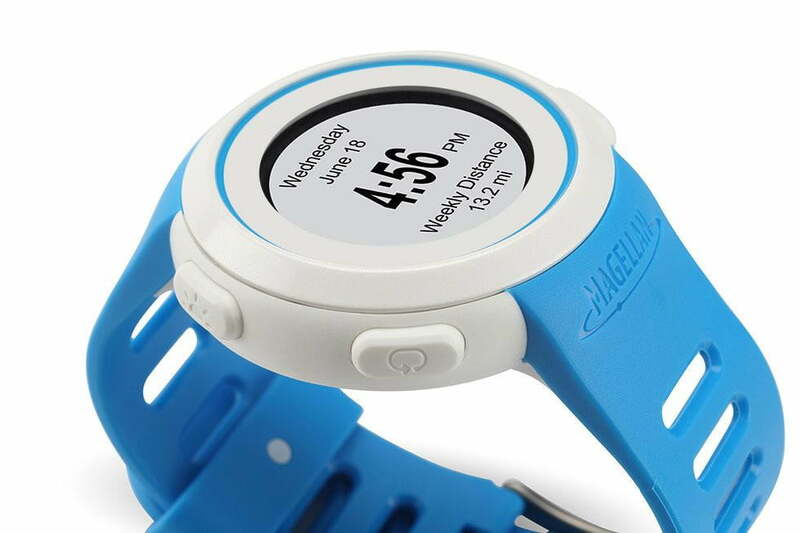 The Magellan Echo (scheduled for release in time for Christmas 2013) is a brightly colored sports watch that will connect via Bluetooth Smart to a compatible smartphone running fitness apps like the Wahoo Fitness or Strava. The Echo, which is water resistant, features a one-inch display with a backlight, time and date. When connected to a smartphone and additional sensors via Bluetooth Smart it can display any metric the smartphone app generates. Heart rate, speed, pace, percent grade, and altitude are only a few of the metrics than can be displayed on the watch. The Echo can also act as a remote control for the smartphone, allowing users to start and stop activity tracking as well as control the music functions on the phone all without ever removing the phone from their pocket. And, it runs on a small coin battery that eliminates the need to plug it in for recharging every night. When it ships the Echo will sell for $149.99 or $199.99 with an included Bluetooth Smart heart rate monitor. Currently, the Echo is compatible with the iPhone 4s, 5 and some Android phones that support Bluetooth 4.0. The Echo looks great now, but, with rumored watches coming soon from Samsung and (maybe not so soon) from Apple, it might not be a bad idea to wait and see which of the dumb watches turns out to be the smartest.